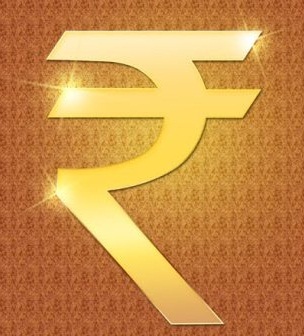 KSRealityBites: New symbol for Indian Rupee! New symbol for Indian Rupee! NEW DELHI: India has finally got a symbol for the Rupee & joined a select club of countries whose currencies 've an unique identity. The Union Cabinet on Thursday (Jul-15) approved the design, which includes both the Devnagiri 'Ra' & the Roman capital 'R' & has two parallel lines running at the top. The parallel lines symbolise the equal to sign. The symbol selected has been designed by an Indian Institute of Technology postgraduate D Udaya Kumar & was selected from among five short listed symbols. Kumar, who is with the Dept. of Design at IIT Guwahati, explained that the design is based on the Indian Tricolour. "My design is based on the Tricolour with two lines at the top & white space in between. I wanted the symbol for the Rupee to represent the Indian flag. It is a perfect blend of Indian & Roman letters: a capital 'R', & Devnagari 'Ra', which represent rupiya, to appeal to International & Indian audiences. After working on the design for few months, I shortlisted eight to 10 designs & then refined them further till I got this one," said Kumar. All new notes will now bear the symbol. Is everyone loves new Indian currency symbol? Do you like this new currency symbol? I hope you love! I love so much, girl. Yep, I like it very much.